The holidays are pretty awesome. We get to unplug from the daily grind and reconnect with family and friends, and everyone is generally in a merry mood. We indulge in favorite foods and sweets – for me, that means my aunt’s cookies and my dad’s Thanksgiving stuffing. Festive music is piping in the background, someone is uncorking another bottle of red wine, the kids are entertaining each other nicely amidst the happy chaos, and everyone looks adorable in their reindeer and snowman sweaters. But whether your holiday lasts for an afternoon or a few days, all good things must come to an end. 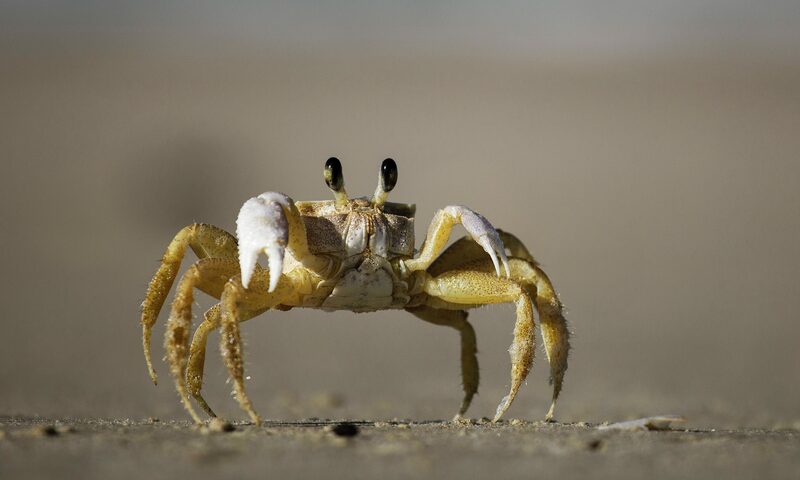 Enter the post-holiday crabfest. No, it’s not a new special at your local fish restaurant, but a downward shift in mood following a pleasant holiday celebration. I know this phenomenon exists because my family experienced it last weekend. We had just driven home after Thanksgiving with my family in the Chicago suburbs. Everyone had enjoyed the visit – especially the kids, who had a blast goofing around with their second cousins. But the moment we got home, it was as if a switch had flipped, and everyone’s mood suddenly went from pleasant to irritated. It’s not surprising to experience an emotional letdown after the holidays. Suddenly, all of the obligations we had been able to put on hold come roaring back like a slap in the face. We remember the mountains of laundry and the unpaid bills and the guinea pigs who have made an epic mess of their cage (again). If we hosted guests, we’re likely exhausted or overextended from everything that entails. Even if our celebration took place away from home, we might be short on zzz’s for other reasons (possibly, but not necessarily including too much red wine, quadruple chocolate brownies, and late night games of Fibbage). While the post-holiday crabfest might feel inevitable, there are a few ways to ease the transition back to reality. Try one or more, and if you have any to add, please let me know! 1. Let everyone decompress on their own (whatever this means). When we returned home, our daughters immediately started building a fort out of old cardboard boxes. My husband went to dig up the Christmas lights from the basement, and I headed outside to collect the random toys that the late autumn wind had blown around the backyard. Everyone got to do something that felt productive, and we all just kind of stayed out of each other’s way for the first hour or so. 2. Get outside and enjoy nature if possible. Take the kids to a park, watch the birds and squirrels scurry around, or go for a short walk in your neighborhood. Even a few moments in the natural world will help you hit that reset button and feel ready to jump back into your regular routine. 3. Notice something beautiful and let it brighten your mood. This does not have to be earth-shattering. 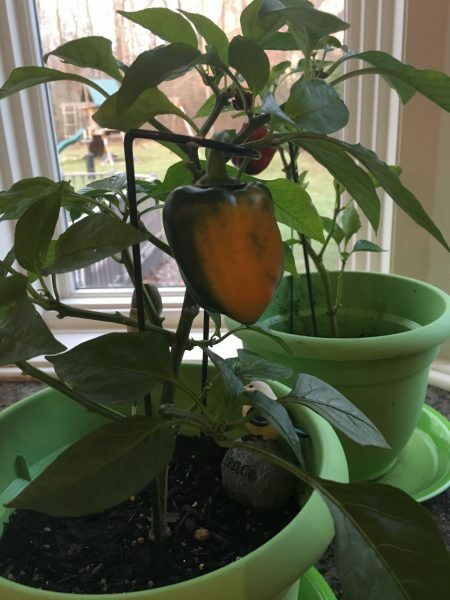 I happened to see that the bell peppers on our windowsill (the ones we’ve been trying to grow since June) had finally started turning lovely shades of yellow and red.